This report used ship-tracking data, petroleum market information, and State Lands Commission data to analyze imports and exports of gasoline and blendstocks going in and out of California in the first nine months of 2015. The report found that refiners calibrated imports and exports to inflate gas prices and make record profits. Exxon did not import to refill the lost production of their Torrance refinery, while Chevron exported more than 250 million gallons of gasoline. The study found an Exxon vessel was sitting suspiciously in Singapore for 70 days during the California price crisis. This report analyzes the profits of California's major oil companies in the third quarter of 2015. The report shows each refiner more than tripled its average quarterly profits. Simultaneously, most of these companies spent record amounts on lobbying the California legislature, protecting the lucrative petroleum bussines in California. This report analyzes the growing profits of California's major refiners in the second quarter of 2015, which saw a record price spike in the state. This analysis was provided to the California Attorney General's office and the California Energy Commission, laying out evidence of market manipulation by the state's largest refiners. Refiners charged their own branded stations a record 30-cents more than they charged independent stations for the same gasoline. This report analyzes California oil refiner profits over the last decade, finding that price spikes corresponded with huge profits for the oil industry. This report analyzes California’s history of price spikes, calculating the cost to consumers in 2015. It finds that refiners keep less reserve in the state, leading to instability when disruptions in production occur. Solutions include increased transparency and more reserves. Pump Jakcing chronicles the tactics used by the oil industry in California to attack environmental regulations. The report predicts supply and price manipulation that will be used to undermine California’s clean energy initiatives. This report analyzes the California Department of Toxic Substances Control response to environmental damage perpetrated by Boeing. 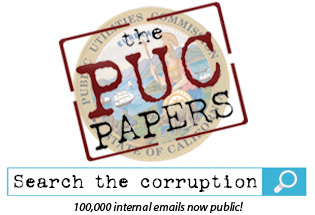 Public Records Act requests provide information on how polluters came to dominate their regulators at the expense of the public. This report analyzes the potential impact of the Keystone XL on drivers across the country. Findings showed that were the pipeline built, prices would rise in many parts of the nation, and that oil companies would make huge profits. Golden Wasteland: Regulating Toxics, or Toxic Regulation? This report reveals the failings of California’s Department of Toxic Substances Control (DTSC) to fulfill its mandate to keep California clean. 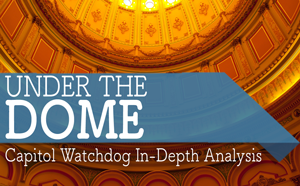 Pro-business bias, fear of political criticism, and mission fatigue are displayed in the workings of the DTSC. A review of public information shows that Texas-based refiner Valero is profiteering off of California’s high gas prices. The report chronicles solutions to the United States transportation addiction, and what policies should be used to effectively monitor and regulate the oil industry as well as achieve a competitive clean energy future. An analysis of a Diesel price spike shows the impact on the economy and how manipulation of the Diesel market reaches all of our pocketbooks. This report chronicles how gasoline price spikes have had the same impact as Hurricane Katrina, and how low supplies and production are used to raise the price of gasoline. This analysis shows that the price of gasoline is becoming less dependent on the cost of Crude Oil, and how oil companies are making big profits off of price spikes. Analysis shows that consumers end up paying more for products because of Google’s monopoly on the search market. This report chronicles the privacy loopholes in the Google+ social network that have made the service dangerous for its users. This report analyzes the quest for influence in the US government being perpetrated by Google. One of the most visible signs of Google’s clout is a deal between the NASA and the company to allow Google executives to use the base for their flight needs. This report chronicles how Google has profited from deceptive advertising that allowed fraudulent operators to use their system to advertise deceptive mortgage deals. This report provides a path for how to ensure that the public benefits from Proposition 71, which promised investment in medical therapies, and that private biotech companies do not influence these policies. This study showed that medical malpractice insurance companies in California inflated their loss projections in order to justify higher rates and blame it on lawyers. This report shows how California’s landmark Proposition 103 has lowered Medical Malpractice rates for doctors across the state. It also shows how caps on damages have not succeeded in controlling costs. This report analyzed the potential savings to California consumers if Proposition 45 passed in November of 2014. The initiative would have forced health insurance companies to justify their rates. This analysis of California’s landmark insurance reform initiative Proposition 103 shows how much money consumers have saved. This report shows that any health reform bill must include prior approval of rates for it to be successful.